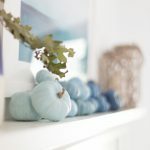 I’ve been struggling with how to proceed with fall decor this year. Living in Florida, the concept of fall is really just a dream. In fact, last year my kiddos were swimming the day after Thanksgiving. In the past, I’ve just turned down the a/c, grabbed some pumpkin spice coffee, and went all in on fall. 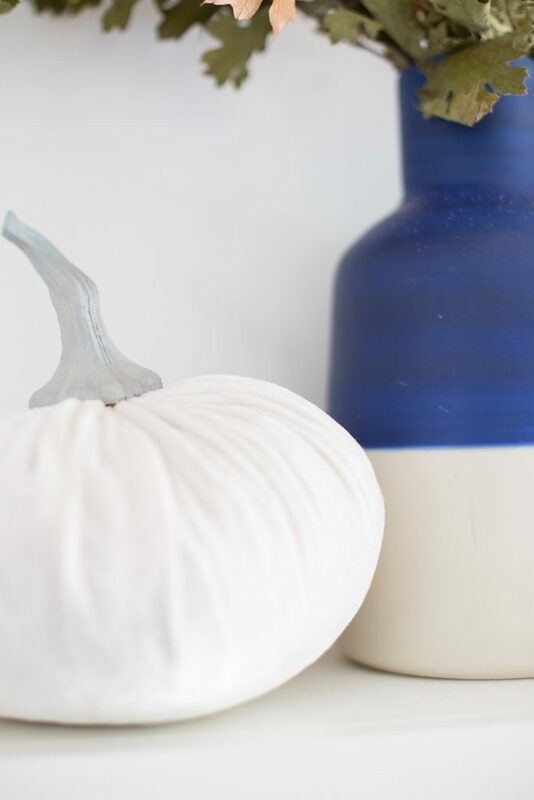 This year, I decided to stay a little more true to our home and life which means subtle fall decorating that fits in with our everyday decor. 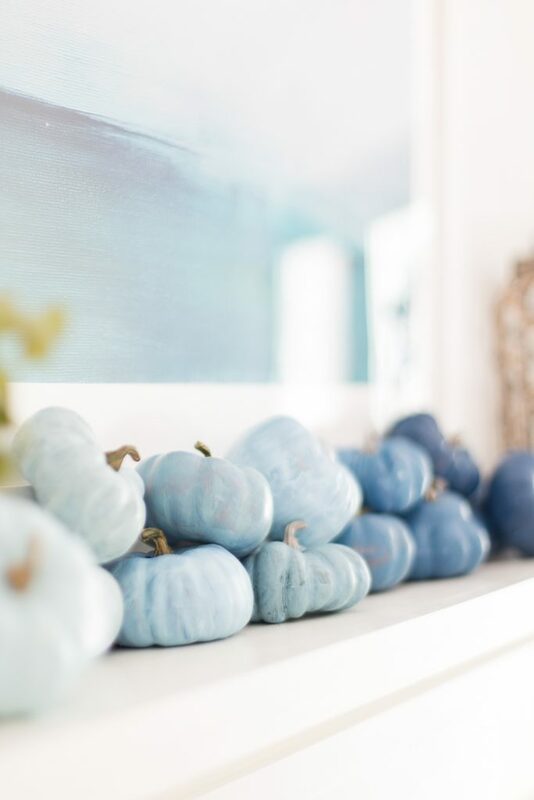 My sweet friend Taryn Whiteaker is hosting a fall mantel blog hop and I’m delighted to share my coastal fall mantel decor today! As I mentioned, I really wanted to bring all the fall feels while staying within my regular color palette. It was also important for me to have a crisp and simple mantel for fall. 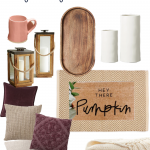 I love the idea that everything is fresh and new in the fall. 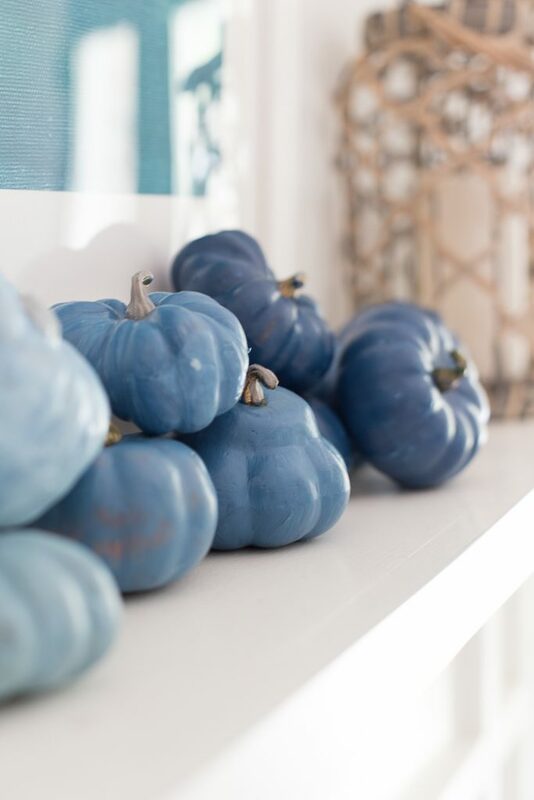 The focus on the mantel is the display of pumpkins. 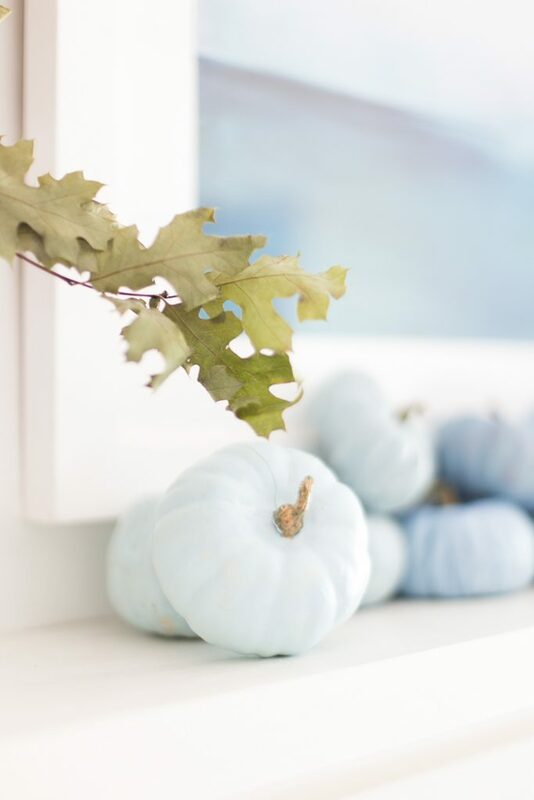 I loved my painted pumpkins from last year and they inspired the idea of this simple display of ombre blue painted pumpkins. I bought a few bundles of the fake gourds from the craft store and painted them during a very short nap time. I always like varying heights when I decorate my mantel. I used some faux leaves stems and my favorite lanterns flank the other side. 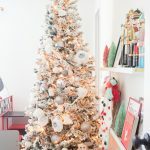 I hope this post encourages you to decorate seasonally if your heart desires it. 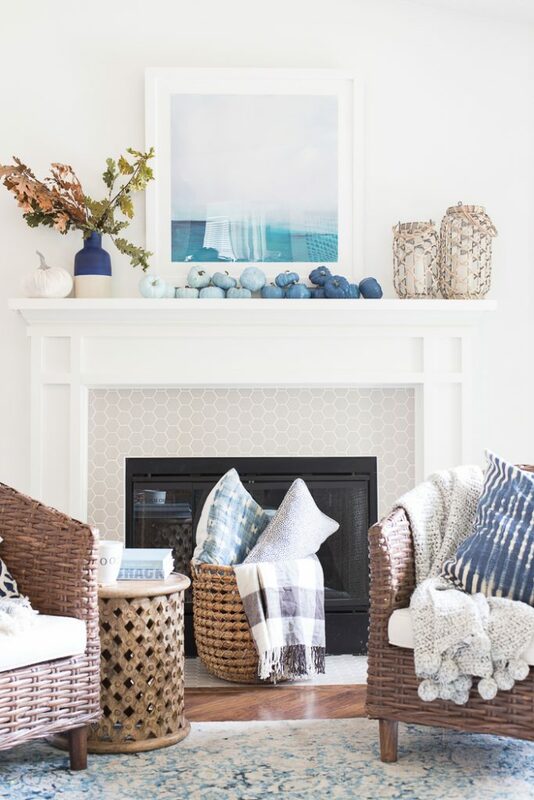 You can add elements of coziness with small and subtle changes! 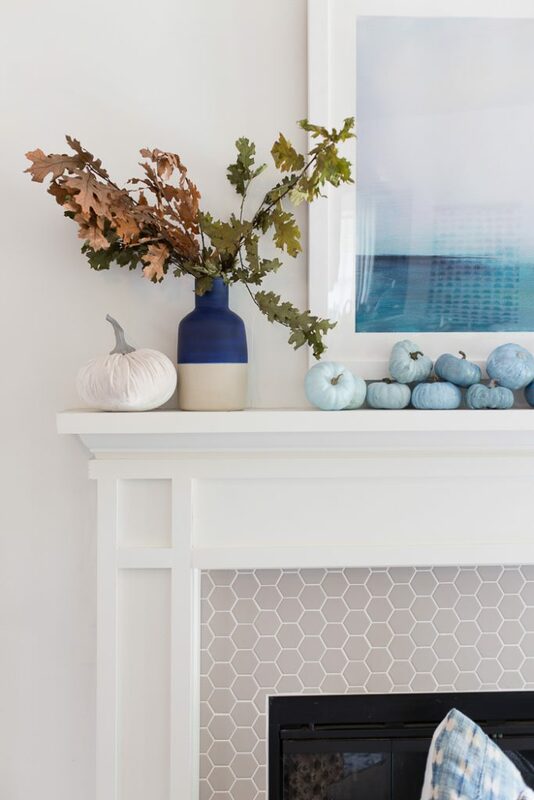 The fall fun doesn’t stop with this coastal fall mantel. 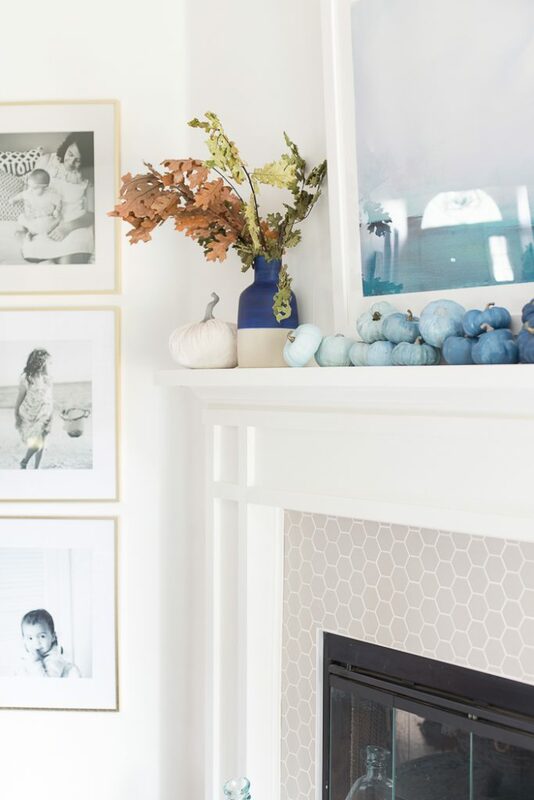 There’s more fall mantel inspiration to enjoy. Your mantel is amazing! So out of the ordinary! Thanks, Elena! I sure love it! Chelsea, I’m totally in love! All the blues are just beautiful. 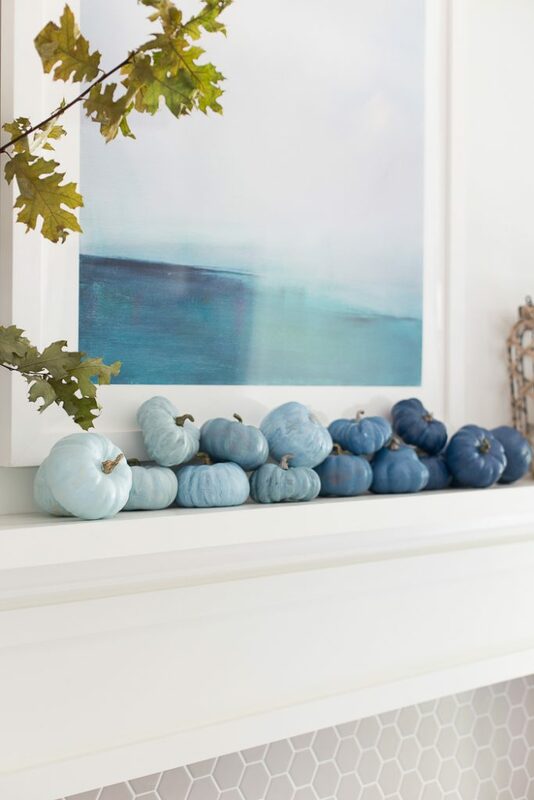 You’ve captured a coastal fall feel perfectly! wow. i love that simple piling of them, and the colors. they really work with your picture and room, yet still totally feel fall. well done! I love everything about this Chelsea!! 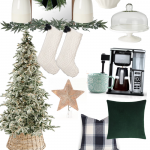 The coastal vibe is right up my alley – I, too, tried to stick closer to my actual style this fall and it feels so right!! Thank you so much, Krista! And thank you for sharing! Love, Love, Love. I can ask what paint colors you used? I have to do this. Thank you. Hi Erin, if you follow me on Instagram http://www.instagram.com/makinghomebase – Click on my picture in top left of the screen, you’ll be able to watch my Instagram stories and I include the paints I used! Hope that’s helpful. Thank you so much for sharing, Kim! So glad you like it! ONLY YOU, girlfriend! This is so creative and so beautiful!!!! Love the colors! Mind sharing where you got yhem and what they are called? The pumpkins? I painted them!